Though that I already forget about my past but it doesn’t seem like I did. I’m the one who still want to go back to my past and fix everything. That’s why I tried so hard. I know I shouldn’t fix it because no matter how I hard I tried it just doesn’t work. I re-built our relationship just to make sure I didn’t hurt anyone of us because of the past. At the past I did hurt people that loved me. I didn’t appreciate and now I know it is important to appreciate what people had give/done to you. It might be just a small things. 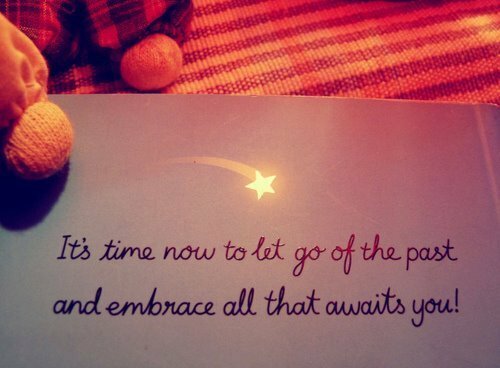 Now I realize the quote - ”If you want to move forward then you got to let go of your past ” It’s true. It ain’t easy. For the past you hold on so long and you thought you did let go . But when on a random night where those memories pop out from your mind and you know you’re still stuck in your past. From outside you’re tough but inside you’re hurt badly. Who don’t want to be tough ? Neither me. As what I did go through everyday , I grow tougher than before. I learn to view things in different way , more on positive way. I know what to do just to survive in this society. There is a lot lesson that I learn from what I had gone through everyday. I’m just a human so I did mistake too. Let go of the past ain’t easy as what you thought. Now I told myself , it’s time Diana . You had tried hard so now you don’t have to do it anymore just to make people feel good. So , I choose to give up on what I’m doing right now. Time to take a break and think further. Those effort I had put in , I don’t want to seek reward from it anymore. How do you feel if someone just mention a shameful past of yours ? I don’t know how am I gonna react for that . I care too much for people and it turns out nobody really care for me as much as I care for them. I have to learn to care less . That’s what I’m trying to do. I learn to be selfish , but not all the time. I learn to be heartless too for sometime. Hey , I did it because people will take advantage on me if I don’t. Your past is a valuable lesson for you. Nobody can completely forget about their past. All you have to do is forgive .